MTV VMA nominated composer Tom Salta composed the Halo Spartan Assault soundtrack. The original score for 343 Industries’ first mobile title “Halo: Spartan Assault,” is an epic “Halo” experience for Windows 8 and Windows Phone 8 top-down shooter. Released simultaneously with the game, the “Halo: Spartan Assault Original Soundtrack” features 27 tracks from Salta’s original score and is available worldwide on Amazon, iTunes, Xbox Music and other digital music services through Microsoft Studios Music. Tom Salta created an authentic “Halo” original score for “Spartan Assault,” blending ethereal choral arrangements, piano motifs, rock guitars, synth ambience and sweeping sci-fi orchestral compositions that are distinctly representative of the franchise. 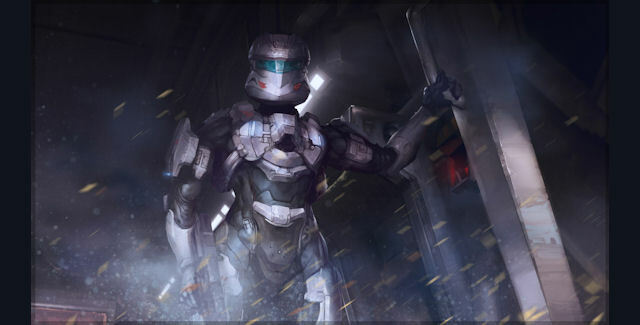 Salta also expands the “Halo” universe with original sounds to complement the musical blueprint of the first trilogy and beyond, combined with a full modern sound production to create a contemporary and classic “Halo” soundtrack. Renowned for crafting emotionally engaging music for interactive media, Tom Salta has received widespread industry acclaim for his world-class produced scores featured in video game titles such as “Galactic Reign,” “Halo: Combat Evolved Anniversary,” “Prince of Persia: The Forgotten Sands,” “Red Steel,” “Tom Clancy’s Ghost Recon,” and “Tom Clancy’s H.A.W.X” series. Intimately familiar with the “Halo” universe, Salta also created synthesis, drums, and percussion for “Halo: Combat Evolved Anniversary” in collaboration with Pyramind Studios and 343 Industries. Prior to his composing career, Salta toured with and worked on releases by a diverse array of popular artists such as Peter Gabriel, Everything But The Girl, Deep Forest and Sinead O’Connor. What’s your favorite song on the Halo Spartan Assault soundtrack?